Another week has flown past and we have challenge number 15 for this year at PanPastel UK, which is sponsored by Your Creativity Store. 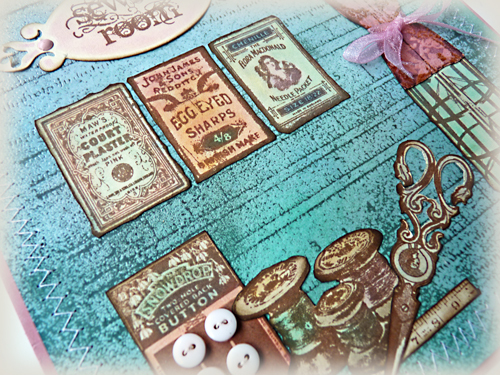 With brads, buttons and bows I just knew I had to do a sewing themed card and I have used PaperArtsy stamps. I have another fabulous way of making a background with the pans but am in the process of making the tutorial, I promise it will come soon (I hope). All the colouring has been done with various PanPastels, I only used ink for the stamping and edging the cut-outs. Sorry I won't be around today till later, off to Ally Pally to catch up with some friends, some of whom I met up with yesterday, and to see what's on show. You know I will come back with some bits though don't you? Beautiful card, have fun today! Just gorgeous, Brenda - I especially love the "posters on the wall" - delicious vintage look. Hope you have a great day at Ally Pally! Brilliant card Brenda, great background with those subtle tape measures and I love all the other sewing elements! The title looks great too! Very pretty card, Brenda. 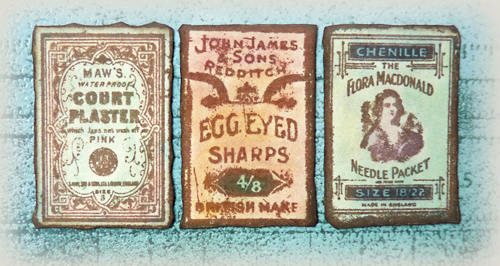 Love the stamps and colours that you've used. Had a play with pan pastels yesterday, so I'm looking forward to your tutorial. Have a wonderful day! Just fabulous Brenda. The colours are just stunning and I love all the different elements. Looking forward to the tutorial! Have a lovely day at Ally Pally! Eine tolle Karte Brenda, mit einem super Thema. Der Hintergrund ist so schön und die vielen Details perfekt. Delicate and the colours, so yummy. Beautiful card , love the design and colours. I hope you have had a great time today at Ally Pally. Even more gorgeous IRL, Brenda, especially the shimmer background and tiny buttons! Had an idea for your dollshouse furniture! Great to see you today; Petra is great, isn't she? wow wow wow - it´s so fantastic!!!!!!!! Hey Brenda Brown - I just love the sound of your name. Anyway--- I hope your new tutorial will come soon too - keeping my fingers crossed! 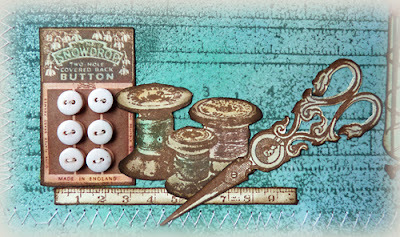 Delightful card - love the buttons on the button card. I look forward to learning more about PanPastels. I will be looking forward to the tutorial Brenda...but I think this background looks great! ummm I recognise these stamps ~ Love them!!! Brenda every time I see you work with Pan Pastels I want nothing more than to come over for a play date. You totally ROCK them! That's a fabulous card, love the stitches and the sewing theme itself. Oh I am still waiting to hear all about Ally Pally and yes, I know you will not return home empty handed! 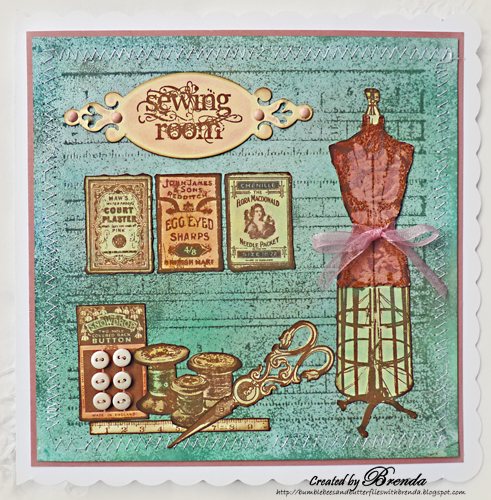 This sewing room is gorgeous! I love all the images and you have this room so tidy! Hugs! Wow Brenda, thats fab. Good to hear about the tutorial too. Hope you are having a great week. Brenda, I am lovin' all the colors and details on this one--wonderful! Wonderful Brenda! 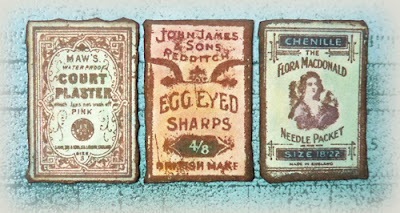 I bougth some sewing stamps from Paper artsy at the Scrap show in Paris.